The exhaustion of the IPv4 addresses has been long coming, the biggest indicator was the September 2015 announcement by the American Registry for Internet Numbers (ARIN) that its pool of IPv4 addresses in North America was over. the pool of unassigned IPv4 addresses has been exhausted, and as a result we are seeing an increase in both dual-stack (that is, both IPv4 and IPv6) and IPv6-only deployments, a trend that will only accelerate. Therefore, networking standards need to fully support IPv6. The IETF as well as other SDOs need to ensure that their standards do not assume IPv4. All networking standards assume the use of IPv6, and be written so they do not require IPv4. Existing standards be reviewed to ensure they will work with IPv6, and use IPv6 examples. Backward connectivity to IPv4, via dual-stack or a transition technology, will be needed for some time. The key issue for SDOs is to remove any obstacles in their standards which prevent or slow down the transition in different environments. 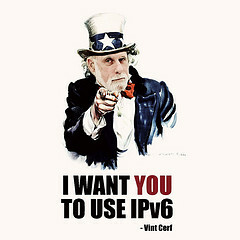 The industry to develop strategies for IPv6-only operation. In addition, the IETF has found it useful to add IPv6 to its external resources (e.g., Web, mail) and to also run IPv6 on its conference network since this helps our participants and contributors and also sends the message that we are serious about IPv6. That approach might be applicable to other SDOs.